He also experiences delays with fine motor and pre-writing skills. Noah’s family reached out to Variety Tasmania after seeing the outcome of a trial with him using an iPad as a communication device. His teachers noted fantastic results and their recommendation was that the use of this in his everyday life would prove to be a huge motivating factor in his development. 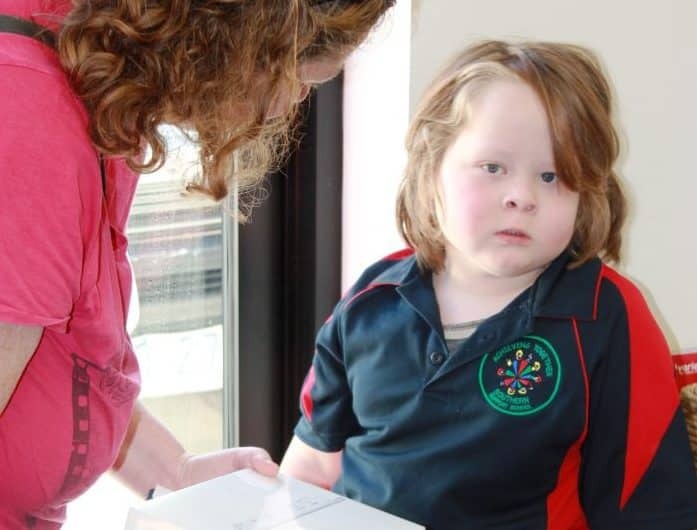 Thanks to the wonderful support from shoppers at Eastlands Shopping Centre, Variety Tasmania has been able to supply Noah with an iPad and the specialist communication software he needs. Not only will he now be able to convey to his family simple things like being tired, thirsty or hungry, he will also be able to progress on his educational path. Support such as this means that many children like little Noah can be assisted by Variety Tasmania to live, laugh and learn to the fullest.